2007 was a big year for Apple, and while the majority of people may think that the iPhone was the company’s biggest achievement during that period, there was another big release at the beginning of the very next year that had everyone sitting up and taking notice. That release was the MacBook Air, and as the super-thin and light notebook is still around today, ten years later, it’s clear to all that Apple was onto something on January 15th, 2008. What was the world’s thinnest notebook computer at the time, the MacBook Air was certainly a crowd pleaser when it was announced alongside the AirPort Time Capsule. The same event also received plenty of new iPhone and Apple TV news, but when then-CEO Steve Jobs walked over to a podium and picked up a manila envelope, few in that Macworld auditorium knew what was coming. 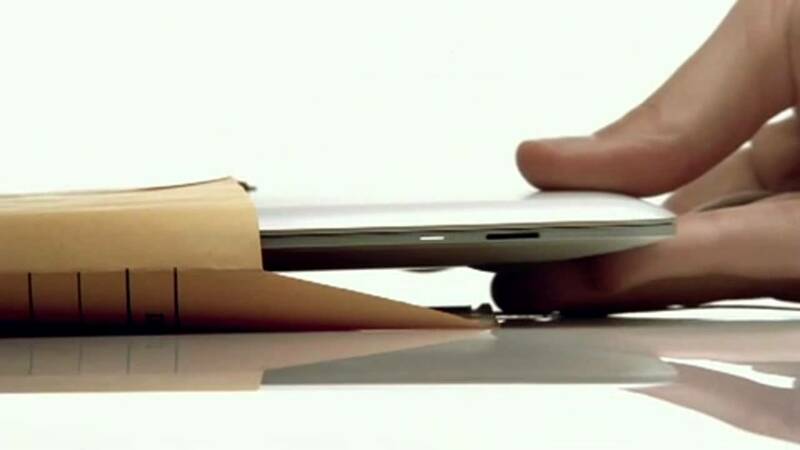 Now we know what was in that envelope – the brand new MacBook Air. It was gorgeous. Inside, the base model offered a 1.6GHz Intel Core 2 Duo processor, 2GB of RAM, and an 80GB hard drive and at $1799, it was not a cheap option. We also saw the 64GB SSD appear in the high-end version, and that was definitely the one you wanted – that 80GB hard drive was the same one used in the iPod so, it’s fair to say, it was not quick! The MacBook Air was the first notebook from Apple to kill off the CD/DVD drive and ditch a host of ports in the name of thinness. In 2018, Apple continues its quest for the port-free computer, and the MacBook Air was the computer that started it all. While the MacBook Air needs some love these days, it’s still there in Apple’s portable computer lineup. With the MacBook Pro now so thin and powerful, along with a display that is light-years ahead of the Air’s, it’s debatable whether there is much life left in the old dog. For now, though, happy birthday, MacBook Air – the computer that not only changed the shape of notebook computers, but also made no optical drives a new mainstream norm. Perhaps you should do a bit more research before you post? Sorry who is Toshiba today? Lol redmondpie have a huge apple bias so they’re not going to. Two years ago tim cook unveiled macbook pro with touch bar that just have 6 hours battery life, compare with macbook pro eight years ago that have 9+ hours battery life, redefined the future of apple notebook. Did you already use macbook pro touch bar 13 inch? Just try how much battery life do you have for web browsing only. Mine only 6 hours.